Tulum, Mexico - No. 815 Polar Pte., Entre ( Between) Saturno Y Luna Nte. free. 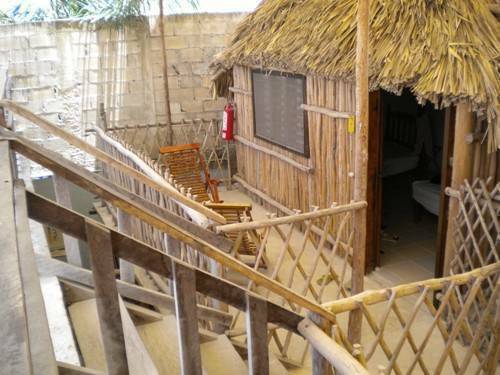 both wooden and cement structures with mayan-mexican old world charm. english spoken here. mexican-american owner, Carlos and his son, Eric Vera. polar pte. turn left and we are the 2nd structure on the left. big doors with a sun on them, enter through wooden door, ring bell after 10 pm if locked, we will answer. 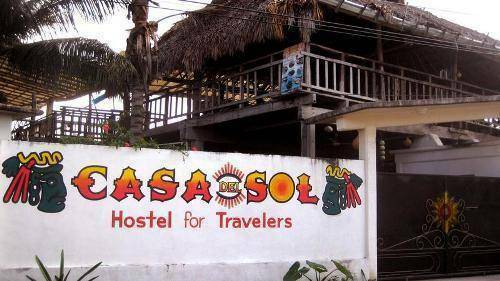 Besides the Beach and Mayan Ruins there are numerous Nearby Resturants, Mayan Souveineer shops, bars, Pharmacies, convience stores, money exchanges,... all located on the main road Ave. Tulum. 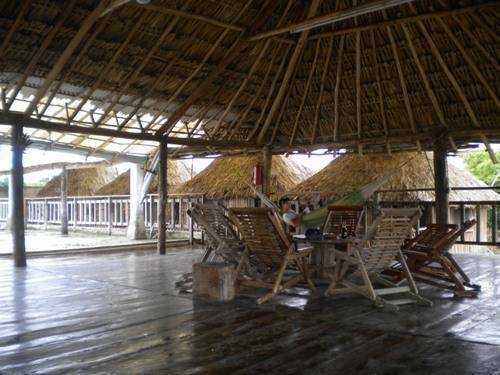 Cabanas with double or single beds and shared baths, 2 dormitories with 5 twin size bunk beds in each (10 beds) with shared baths. hang your own hammock or pitch your own tent with use of shared baths. 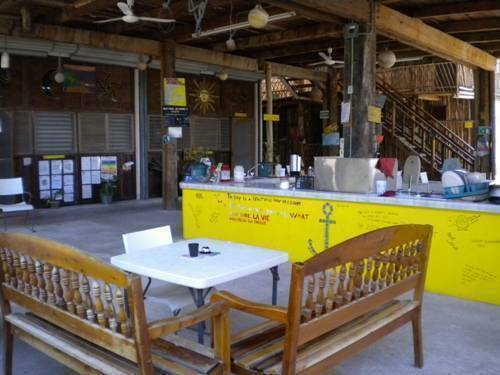 A large refrigerator is available in the communal kitchen, as well as a large stove, 2 sinks and much counter space. dishes are supplied. tables with chairs to eat at. byob. smoking permitted. 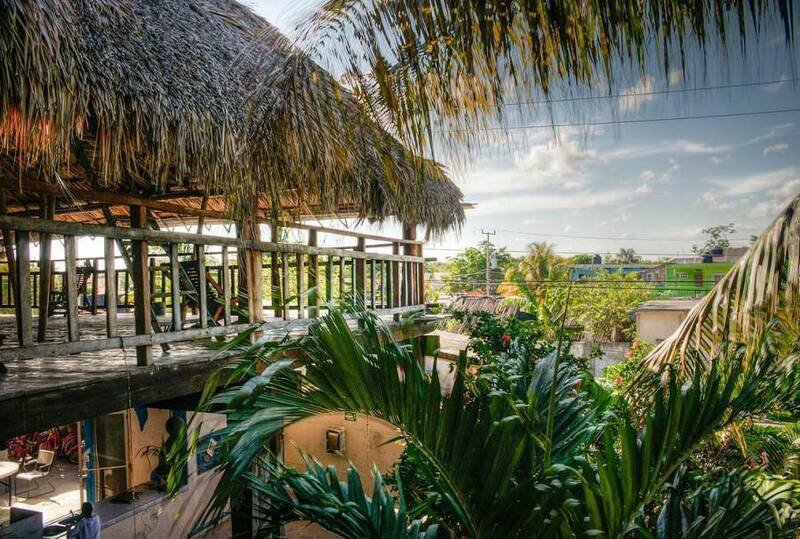 Tulum is a tourist town and is small but growing. It has developed because of the famous Mayan Ruins and its virgin Carribbean Beach known as the Mayan Riviera. Please e-mail or call within 24 hours to cancel or change reservations. No. 815 Polar Pte., Entre ( Between) Saturno Y Luna Nte. The ADO/UNO/MAYAB Bus Terminal is about 3 blocks away. 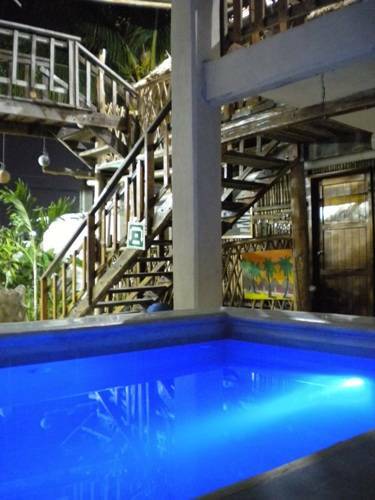 There is local Taxi service very reasonable and there are also transport vans to and from Playa Del Carmen. The Beach and Tulum Ruins are close as this is a very small town.